Laboratory research on adult neurogenesis is proceeding at a tremendous pace and contributing important details about the mechanism of cell development and function. A novel approach in the ultimate understanding of the functional role of young neurons and their value for species survival involves studies on natural populations of animals. Ecologically based research has already contributed to the understanding of some outstanding issues and two lessons have been learned thus far. (1) Neurogenesis plays a role in only certain types of hippocampus-dependent learning tasks. (2) The age-related decline of neurogenesis is a species-dependent adaptation related to an animal’s life span. 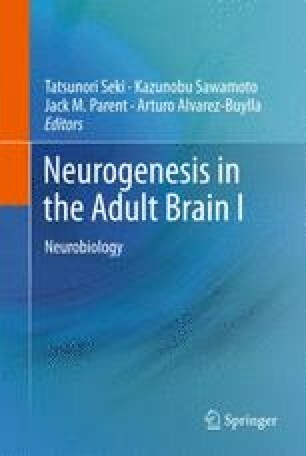 Better understanding of the adaptive role of neurogenesis will require both laboratory research on inbred rodents, and studies on diverse species adapted to their natural environment. My personal thanks to Ms. Yao Fang Tan, Mrs. Marianne Hegström-Wojtowicz and Dr. Harold Atwood for their help with the manuscript, to Dr. Rudy Boonstra for inspiration, and to NSERC and CIHR, Canada for grant support.